Nowadays, a technological development boost can be observed within information technology and its application possibilities. This development results in a digitization of economic processes and human workflows, e.g. within the manufacturing industry. Furthermore, the discussion between digital assistance of employees vs. automation of processes leads to an ongoing change of work tasks or employees’ responsibilities. Decision-makers will have to focus on organizational, human as well as on technological aspects to ensure organizational and employee’s acceptance of digital solutions likewise. Despite all efforts, today’s software products still lack of quality with regards to missing or unused functionality and bad usability. Thus, current software engineering methods seem to be insufficient. 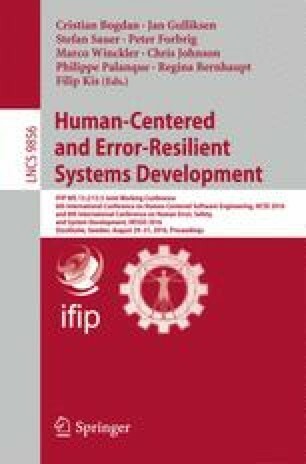 Therefore, this paper describes an iterative approach combining software engineering paradigms like human-centered design and agility to enable decision-makers within manufacturing industry to build digital tools that are accepted by their employees and are of value for the company itself.